The Tiangong-1 space station will reenter Earth's atmosphere, likely sometime around April 1, 2018. After orbiting the Earth for nearly seven years, a Chinese space station will come crashing back down, likely sometime over the next week. Its entry point could be in our backyard. 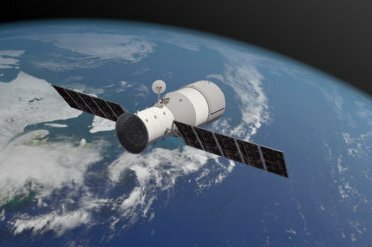 The Aerospace Corporation, a nonprofit that runs a research center for the U.S. Air Force, has been tracking the Tiangong-1 space station and its decaying orbit. The station was launched in 2011 and is about the size of a school bus. Chinese officials terminated communication with Tiangong-1 in 2016, sealing its fate. Aerospace has been updating its prediction of when and where the station may reenter the Earth's atmosphere on its website. As of Tuesday afternoon, Pennsylvania is in the potential path of Tiangong-1. This map shows the potential reentry paths of the Tiangong-1 space station as of Tuesday, March 27. The curvy yellow lines in the above map are called groundtracks. 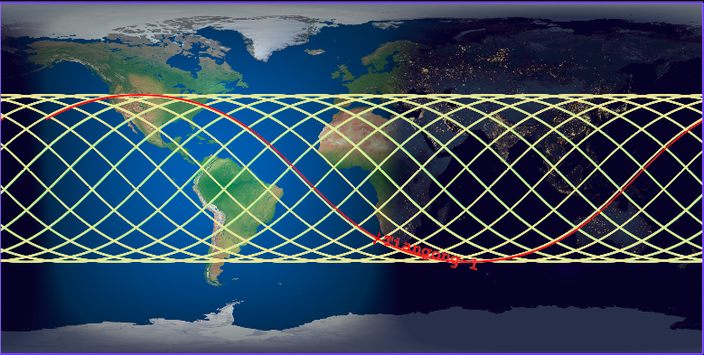 While subject to change, those lines represent the possible reentry points of Tiangong-1. "Pennsylvania is in one of the paths of these particular lines," said Dr. Andrew Abraham, senior member of the technical staff at Aerospace and a Lehigh Valley native. Abraham will continue to refine his prediction, narrowing it down to one or two groundtracks about an hour before reentry. So, what happens if a bus-sized space station does reenter the Earth's atmosphere over our heads? For starters, most of Tiangong-1 won't make it to the ground. When it reaches an altitude of about 120 kilometers, the station will no longer be able to complete another orbit and will begin its final descent. At 80 kilometers it will start to heat up and undergo a "major break up," according to Abraham. Heating and compression from the atmosphere will cause it to continue to break apart until it eventually burns out. Only about 10 to 14 percent of Tiangong-1 is expected to actually touch down on the Earth's surface. Abraham says some of the most common items that make it to Earth are fuel tanks or tanks that hold pressurized gases, which can sometimes be the size of a basketball or even larger, as well as pieces of thrusters or knobs. While the idea of space debris falling like hail may sound frightening, Abraham insists that you shouldn't be scared. An object of similar size reenters the Earth's atmosphere about once a year, but normally that object doesn't have the novelty of being a space station. The only recorded instance of someone being hit by falling space debris is Lottie Williams, who was unharmed after being hit with a piece of debris in 1997 while strolling through the park in Tulsa, Oklahoma. The chances of someone being hit by space debris are about a million times less than selecting a winning Powerball lottery ticket, according to Abraham. In fact, Abraham, who attended Northampton High School going on to Moravian College and Lehigh University, encourages Pennsylvanians to try and get a glimpse — that is, if it comes down in our area at the right time. "I used to live up in that area [the Lehigh Valley], and my parents live up in that area. If I were visiting my parents, well, I wouldn't be afraid of it," Abraham said. "I would be very excited and run out with my video camera and start recording." Aerospace's current prediction has Tiangong-1 reentering sometime after midnight on Easter Sunday, April 1, with a plus/minus range of 36 hours. Those interested can keep up with Aerospace’s updated prediction website here.